On Thursday, February 24, a crowd of nearly 90 students, faculty, staff, and local community members gathered to celebrate the opening of the Manifold Greatness exhibition at the William H. Hannon Library at Loyola Marymount University, and to hear a talk by Dr. Bart Ehrman, New York Times bestselling author and James A. Grey Distinguished Professor of Religious Studies at UNC Chapel Hill. 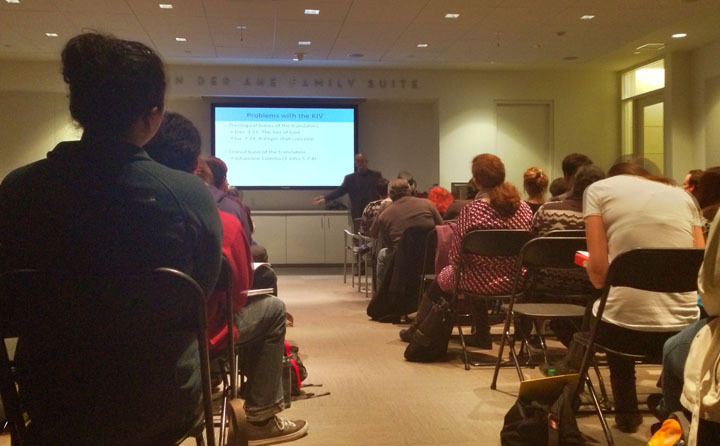 Keynote presentation at the opening of Manifold Greatness at Loyola Marymount University. Photo courtesy Loyola Marymount University. In a keynote talk titled “What Kind of a Text is the King James Bible? Manuscripts, Translation, and the Legacy of the KJV”, Dr. Ehrman introduced our community to a brief history of Bible translation and his perspective on the strengths and weaknesses of the KJV as both a work of literature and a theological text. Ehrman’s conclusion? The King James Bible is indisputably one of the greatest works of English literature ever published. The rhythms of its verses and the richness of its metaphors influenced poets, writers, and speechmakers, including such Americans as Abraham Lincoln and Martin Luther King. But due to changes in the English language since 1611, the theological biases of the translators, and problems in the textual basis of the translation, Ehrman considers the KJV one of the “worst study Bibles” one could use to reflect upon the original intentions of the Bible’s authors. 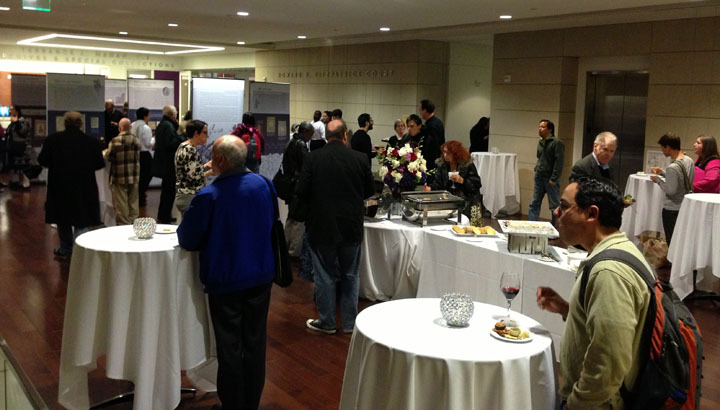 Opening reception for Manifold Greatness at Loyola Marymount University. Photo courtesy Loyola Marymount University. After Ehrman’s provocative talk, which you can watch in full here, attendees moved out to the atrium to enjoy a beautiful reception and continue the conversation while viewing Manifold Greatness and the companion rare books and manuscripts exhibition Singular Wisdom: The King James Bible and Early Printed Bibles, which features treasures from LMU’s Department of Archives and Special Collections including copies of the Vulgate, Martin Luther’s German translation of the Bible, and Erasmus’ Greek New Testament, and a second edition of the King James Bible on loan from the William Andrews Clark Memorial Library at UCLA. A second program the following week by Dr. Stephen Shepherd, a medievalist from LMU’s Department of English, introduced attendees to the Wycliffite Bible – a predecessor of the KJV — which he placed in the context of the intellectual movement of the time that advocated the vernacularization of erudite knowledge and scholarly precision itself. In the coming weeks, LMU is hosting two additional programs that will continue to engage our interfaith community with varying perspectives through which to consider the influence of the KJV. A gospel concert with guided commentary will celebrate the lasting influence of the KJV in the music of the Black church, and a panel presentation between LMU Theological Studies faculty from varying Christian faiths considering the KJV into a Catholic context. Jamie Hazlitt is the Outreach Librarian at the William H. Hannon Library at Loyola Marymount University. Thomas Trevelyon. Miscellany. Manuscript, 1608. Shelfmark V.b.232. Folger Shakespeare Library. 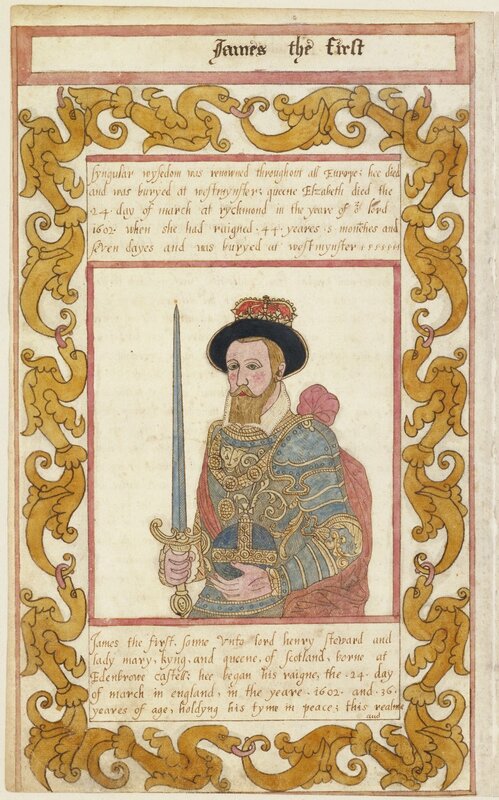 King James I, the royal sponsor of the Bible that bears his name, grew up as a king. After Queen Elizabeth I executed his mother, Mary Queen of Scots, when he was just one year old, he became King of Scotland and the heir to the English throne after Elizabeth’s death. He was raised by a team of Scottish Presbyterian ministers under the control of his regent, but upon his ascension to the English crown in 1603, he seemed more attuned to English religious politics. Less than a year after his arrival in England, James officially launched the translation project that would become the King James Bible at a conference in Hampton Court Palace. The complex’s status as a favorite dwelling of King Henry the VIII, the founder of the English church, would not have been lost on the attendees. The new translation was intended to be a unifying factor, not between Scotland and England, but between the warring factions of the Church of England. In the oversight of the project, James favored the establishment bishops, but a third or more of the 48 “Translators” (as they were known) had Puritan beliefs. Most were connected with Cambridge University, a hot-bed of Puritan theology. But James could not simply follow the people’s choice, for the Geneva Bible contained extensive interpretive footnotes, many of which were anti-monarchical, denying that kings and queens had the right to rule. Given that in 1598 James had written a ringing defense of the “divine right of kings” to govern in his “True Law of Free Monarchies,” this was an anathema. The new Bible translation would draw upon the best of these two works, while going back to the best Hebrew and Greek manuscripts then available. It would undergo several stages of review to ensure both accuracy and understandability. It would be both a pulpit Bible and a people’s Bible: pleasant to read aloud and to oneself. The new translation did not immediately gain acceptance when it was published in 1611. Like the Greek Septuagint, the Latin Vulgate and many modern translations, people preferred the versions with which they were familiar. But within a few decades it had replaced the Bishops Bible and surpassed the Geneva Bible. It was brought across the Atlantic and became America’s Bible, both for English churches that came here and the churches that originated here, such as the Mormons. The King James Version was the dominant English-language Bible for 350 years and had no significant rivals until the Revised Standard Version appeared in the 1950s. Since then, many new translations have been published, but the KJV remains the most popular book in the English language. In celebration of the 400th anniversary of the KJV, the University of Wyoming is hosting an exhibit and series of six lectures during October. It will open on Sunday afternoon, October 7th, with a talk by Dr. Philip Stine, a former translator and executive of the United Bible Societies, who will discuss the origins and impact of the KJV. The exhibit is called “Manifold Greatness: The Creation and Afterlife of the King James Bible,” and is located in Coe Library. 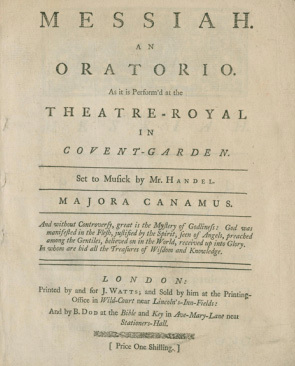 It was created by the Folger Shakespeare Library , in partnership with the University of Oxford and the Harry Ransom Center, and with support from the National Endowment of the Humanities and the American Library Association. To accompany this, the Toppan Library of the American Heritage Center is exhibiting Bibles from its rare books collection, and the Albany Country Public Library is hosting a display of Bible translations through the ages. For more information, go to https://uwlibblogs.uwyo.edu/dustyshelves/manifold-greatness-the-creation-and-afterlife-of-the-king-james-bible/. Note: This post drew from Adam Nicolson, God’s Secretaries: The Making of the King James Bible, and Philip C. Stine, Four Hundred Years on the Best Seller List. Paul V.M. 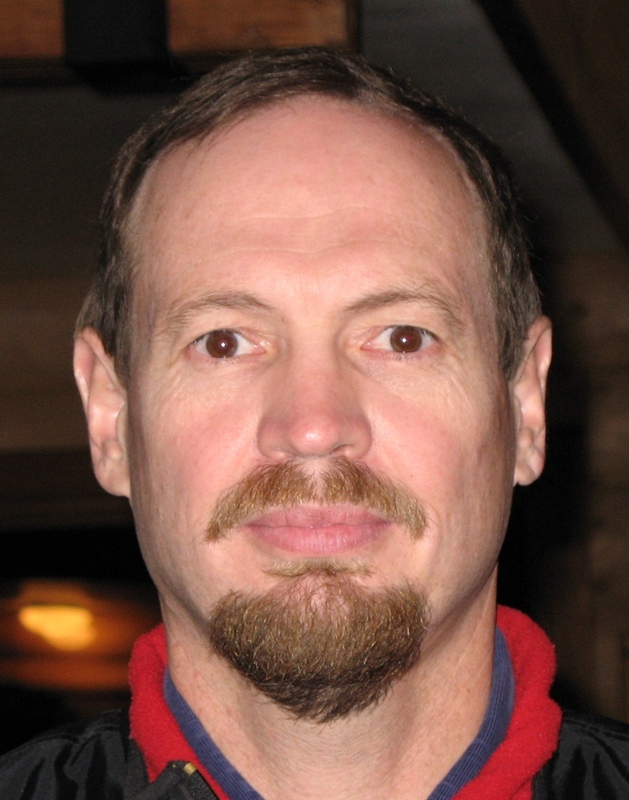 Flesher, Ph.D. is the Director of the Religious Studies Program at the University of Wyoming. The Manifold Greatness traveling exhibition is on view at UW from October 7-31, 2012. A King James Bible only church in Alabama. Photo by Richard David Ramsey (Own work) [CC-BY-SA-3.0 (http://creativecommons.org/licenses/by-sa/3.0)%5D, via Wikimedia Commons”. Jason Hentschel is in University of Dayton’s doctoral program in theology. Here, Jason discusses the King James Only movement, in which certain churches use the King James Bible translation exclusively, believing that it is the most accurate and doctrinally correct translation available. This topic arose during one one of the programs offered in conjunction with the Manifold Greatness traveling exhibition here at University of Dayton. Q: Why do certain churches choose the King James translation? The churches themselves tend to explain their exclusive use of the King James in terms of an appeal to the only perfect and pure—we might say inerrant—Bible. All other translations—be they RSV, NIV, NASB, The Message, etc.—are understood to be ultimately misleading at points, usually on account of the fact that they are translated from the modern critical text and not the Received Text. In other words, King James Only (KJO) churches see other translations as corrupting the Bible, particularly the doctrine of Christ, and so they only read from the King James because they believe that it perfectly preserves the true biblical text and thus the true doctrines of the faith. This does not include churches that prefer the King James translation for “merely” literary or stylistic reasons. Q: What do you think the KJB-only movement accomplishes for congregations? The movement provides a measure of certainty often questioned in the face of opposition. The KJO pastors around Dayton, OH whom I visited often directed me to one or another author—Samuel Gipp, Edward Hills, Wilbur Pickering, to name a few—whom these pastors found authoritative. 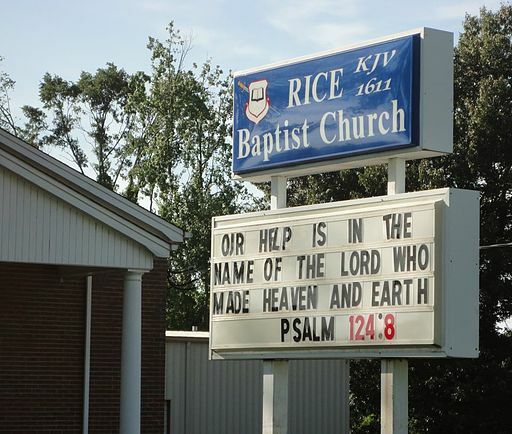 Not only can these churches champion the King James Bible, they can champion these defenders of the King James Bible. There is nothing new about appealing to scholarship, of course, but in a group of evangelicals that is more often than not willing to reject such appeals in favor of either emphasizing the priesthood of every believer or the perspicuity of the text, this authoritative claim is significant. Q: What surprised you about the churches here in Dayton? Most surprising was their diversity. Whereas one of the churches I visited maintained a hard, polemical stance in its assertion of the King James’ Bible sole validity, another church argued for the validity of other professing believers’ perspectives on the translation debate. The three churches I visited did not see themselves as still in a battle for the Bible. That was a thing of the past. This translated into a rather nonchalant attitude toward visitors and members who resisted the churches’ exclusive use of the King James Bible. Hence, while the pastors I spoke with expressed without fail the importance of the King James Bible over and against the modern translations, that concern failed to translate to the congregation. This raises the question: About what are these churches truly concerned? Jason Hentschel earned his M.Div. at Baylor’s Truett Theological Seminary and is currently working on his doctorate in historical theology at the University of Dayton. Besides the theological and cultural foundations of local KJV-only congregations, his research interests lie in American Cold War evangelicalism. Katy Kelly is communications and outreach librarian at University of Dayton Libraries and project director for the University of Dayton Manifold Greatness exhibit. Dr. Scott Munger. Courtesy Pikes Peak Library District. Dr. Scott Munger is culturally adventuresome Biblical translator who has overseen Bible translation work in some 40 languages around the world. That international experience helps provide a unique perspective on American religious, social, and political life. Scott is currently Vice President of Biblica, the producer of The Holy Bible: The New International Version. He and his family—wife, children, and grandchildren—now live in Colorado. Here is an interview that Pikes Peak Library District, currently hosting the Manifold Greatness traveling exhibition, recently conducted with Dr. Munger about Bible translation. Question: How do you feel about the King James Version of the Bible? Answer: I treasure and revere it like I would a famous ancestor—but one who lived in a different age and time. Question: Biblica has created the NIV translation of the Hebrew Bible. How did the Biblica processes differ from the processes of King James Version translators’? Answer: The processes are remarkably similar. Both began with the call for a fresh translation, both were supported by dedicated people from various Christian denominations, and both were undertaken as a group project. Question: Did that involve translating from the original languages of the Bible? Answer: Yes, the KJV and the NIV are each done from the languages of the original biblical texts: Hebrew, Aramaic, and Greek. Likewise, translators of both versions considered history and tradition (e.g., the KJV relied a great deal upon the work of William Tyndale, killed in 1536), but they also considered present and future needs. And most important, the translators of the KJV and NIV tried to represent the Word of God in the language of their day, that is, with vocabulary and style that would speak to the hearts of their contemporaries. Question: We know that 48 translators worked on the King James Bible of 1611. How many translators did it take to come to the NIV version that Biblica publishes now? Answer: The Committee on Bible Translation is an independent group of 15 scholars from many Christian denominations. The CBT determines the NIV text. But their work builds upon the efforts of over 100 original contributors. Unlike the KJV, the NIV is a “green” text. During the half century since its original conception, thousands of helpful suggestions from readers and scholars worldwide have made the NIV translation what it is today. Question: What goals did the Biblica translators have while translating the Bible? Answer: The NIV’s goal, similar to that sought by the KJV, is to create a balance, designed for “the best possible blend of transparency to the original documents and comprehension of the original meaning” (www.niv-cbt.org). Question: With its soaring language, the King James Bible is very poetic. Do you think that some of the translations today lose the beauty of that poetic edge? Answer: Beauty is hard to define, and is often in the eye of the beholder. When it comes to language, beauty of both form and content must be considered. A skillfully worded poem about the glories of a microwave meal will never win a Pulitzer. The real, inner beauty of the KJV comes from its content. Note the last two verses of Psalm 23, below, the first from the KJV and the second from the NIV. Modern people are often charmed by older forms of language. The KJV’s “… est” and “… eth” caress our ears. 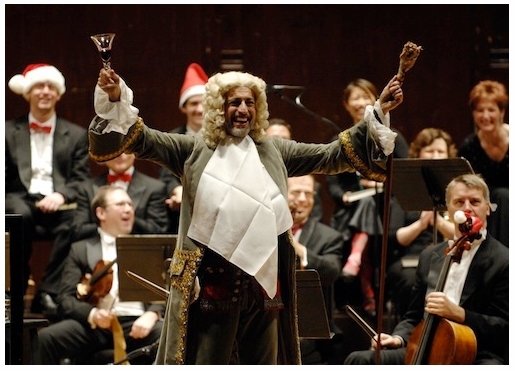 But we need to consider that what sounds quaint to us was common to people in 16th and 17th century England. Question: With so many new translations available, is the King James Version still important and relevant today? Answer: The KJV endures as a testimony and example not only of great Bible translation and great English, but of great thought. The former is due to the heart of those who undertook the translation. But the thoughts they conveyed are those of the original authors, men and women—inspired, I believe, by a gracious God—all of them now considered world-renowned prophets, rulers, poets, and reformers. Rachel Stovall is a Community Relations Specialist at Pikes Peak Library District in Colorado Springs, CO.
Saint Michael’s College in Colchester, VT. The exhibition of Manifold Greatness at Saint Michael’s College’s Durick Library is off to a great start. We actually kicked of the events before the exhibit even arrived in Vermont! In March, the University of Vermont Special Collections opened up with an exhibit of their rare Bibles, including their 1613 KJB. A bit later in the month, they hosted a panel discussion entitled “Authorized Versions: Perspectives on the King James Bible.” In this panel discussion, three UVM faculty members offered theological, historical, and literary perspectives on the coming of the King James Bible and its place in the early modern world. Anne Clark spoke on “Before the King James: Medieval Bibles and Their Users”; Charles F. Briggs spoke on “The Problematic Publishing Background of the Bible in English, from Wyclif through the Mid-Sixteenth Century”; and Andrew Barnaby added a bit of drama to the mix, speaking on Shakespeare’s Measure for Measure and the King James Bible. This well-attended session was an excellent introduction to the King James Bible, and had us anxiously awaiting the official opening of the Manifold Greatness exhibition! Instead of simply hanging around waiting for the panels to arrive, we got working on the complementary exhibits we had planned. Library staff put together several displays from our circulating collections—one featuring scholarship related to the King James Version, another focused on the Catholic Reformation and Counter Reformation, and a third featuring some of the more interesting contemporary Bibles in our collection. 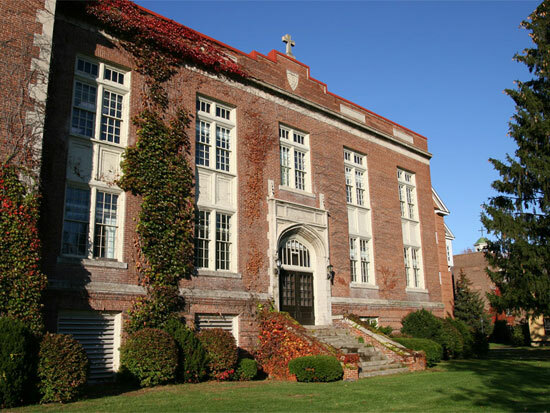 Rare Bibles from the collections of Middlebury College Special Collections, the University of Vermont Special Collections and Saint Michael’s College. Clockwise from Top left: King James Version 1629; first Bible printed in state of Vermont 1812; Luther Bible 1696; incunable Bible 1477-78, Geneva Bible 1596-97; Geneva Bible 1644. Courtesy of Saint Michael’s College. In our rare book cases, we have complementary exhibits of rare books from our collections and with donations from the University of Vermont Special Collections and Middlebury College. 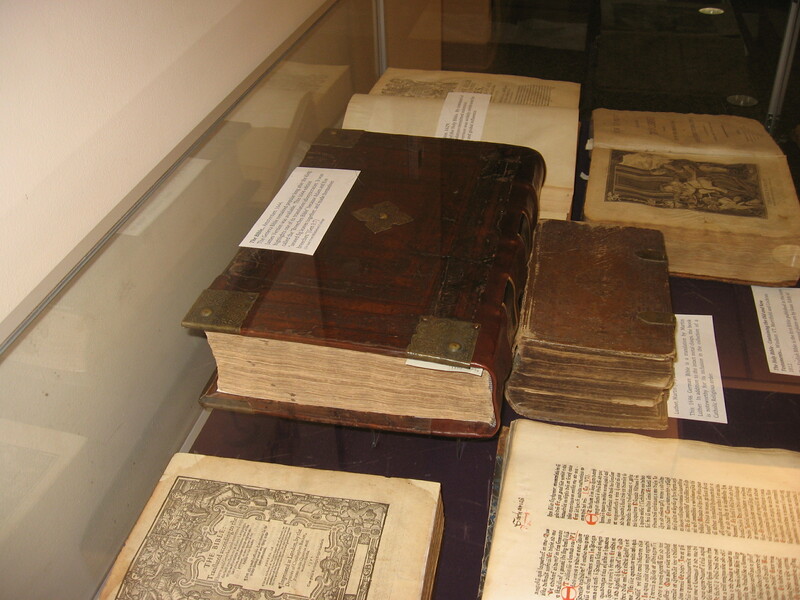 Their wonderful additions to the display included a Rheims New Testament from 1582, a 1629 King James Version, an incunable Bible printed by Nicolaus Gotz in 1477-78, and the first Holy Bible published in the state of Vermont, published in 1812 in Windsor, VT. Among our own collection of Catholic Reformation and Counter Reformation works, we have on display Tridentine Catechisms and a lovely Missale Romanum, a Graduale Romanum for the Tridentine Mass, that are fine examples of two of the major reforms of the Council of Trent. One of the more interesting titles on display is Locorum Catholicorum tum sacrae scripturae, tum etiam antiquorum patrum, por orthodoxa, et vetere fide retinenda, septem, by Francisco Horantio (Orantes) printed in Venice in 1564. This text discusses the importance of seven Deutero-canonical (or Apocryphal) books of the Bible and includes an “ardent” refutation of John Calvin’s arguments against the veneration of the Saints. By the time the panels themselves arrived in the library the day after Easter, the other exhibits were in place. Saint Michael’s students were away for the long Easter weekend, so they did not have to watch us dismantle some of the most favored group study spots in the library! Although it is a significant change from the study tables, the exhibit panels fills in the space quite nicely. It will be sad to see Manifold Greatness close next week. Elizabeth B. Scott is an Archivist at Saint Michael’s College in Colchester, VT. Literature and Art and Pop Culture…Oh My! 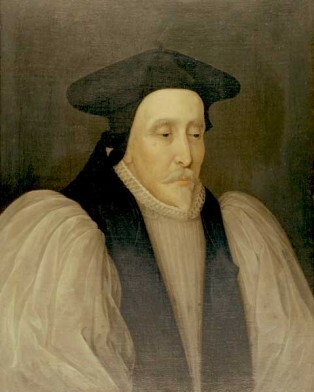 Lancelot Andrewes. Bodleian Library, University of Oxford. This passage comes from one of Andrewes’s most famous Nativity sermons (which may have been a sermon in which King James was present), as Andrewes describes the journey of the Magi to visit the infant Jesus. Whitworth Assistant Professor of Art Meredith Shimizu demonstrated the ways in which art is used in the Bible, and how the Bible is used in art. She indicated that while many older texts used art primarily for decorative purposes, art in modern Bibles becomes an important addition to the meaning of the text itself. Gonzaga University Professor of Religious Studies Linda Schearing discussed the ways Bible publishers use elements of popular culture to market their products, and the ways in which popular culture co-opts biblical elements – particularly the Garden of Eden and Adam and Eve – in advertising and humor. Speaking of Adam and Eve, the Pacific Northwest Inlander, a local independent newspaper, ran a story discussing the cultural impact of the King James Bible and mentioned Whitworth University’s Manifold Greatness exhibit and events. The author of the article listed some examples of pervasive Biblical images in popular culture, including an adult retail chain called Adam and Eve. The article has the potential to reach a very different audience using unconventional methods. Amy C. Rice is an Instructor/ Coordinator of Technical Services & Systems at Harriet Cheney Cowles Memorial Library at Whitworth University. 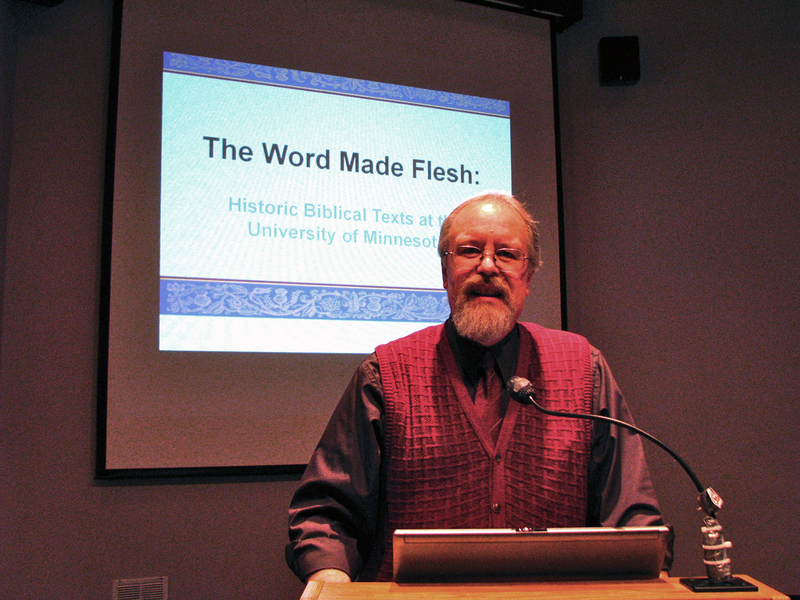 This afternoon, the University of Minnesota hosts a Colloquium on the King James Bible. Viewers can watch a streaming version of the program online between 4:30 and 7:30pm, CST. Courtesy of the University of Minnesota. 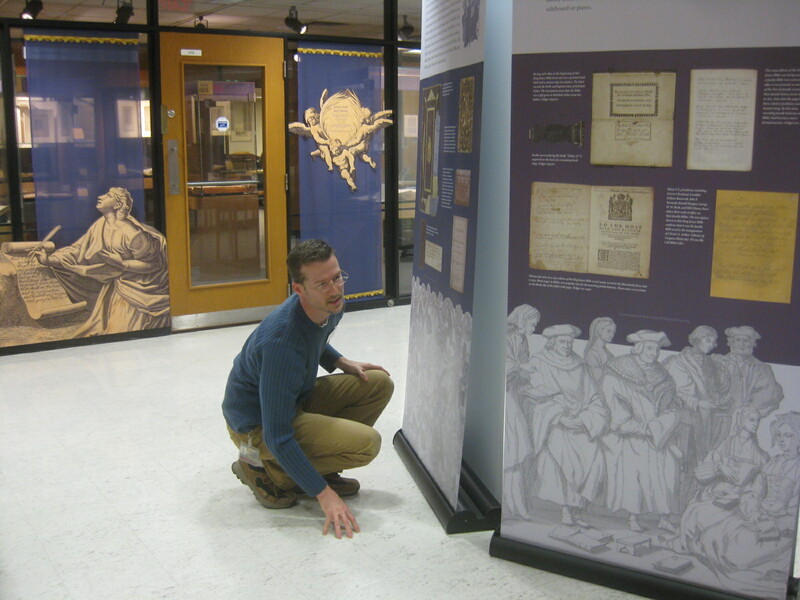 In the image above, University of Minnesota Libraries in-house designer checks the final layout for the Manifold Greatness exhibit for its January 25 opening. Members of Gloria Dei Lutheran Church in Saint Paul, MN visited the University of Minnesota Wilson Library on January 27 to explore the Manifold Greatness traveling exhibit, plus the local exhibit of rare Bibles, “The Word Made Flesh.” Librarian Susan Gangl and Curator Timothy Johnson guided the group and fielded many questions. The preference for the Geneva Bible over the King James Bible in early America came as a surprise to some visitors. Also in January, Timothy Johnson, University of Minnesota Curator of Special Collections and Rare Books, spoke about the King James Bible, and showed images from our collection of earlier Bibles and manuscripts and recent art press editions of illustrated Bibles. Tim developed “The Word Made Flesh,” an exhibit of rare Bibles, to accompany the showing of Manifold Greatness at the Wilson Library. The audience was fascinated and asked many questions! Some had already seen the exhibition, while others plan to visit in the coming weeks. Susan Gangl is a librarian at the University of Minnesota Wilson Library. The Kennesaw State University Department of Museums, Archives & Rare Books is delighted to be a part of the Folger Shakespeare Library’s traveling exhibition, Manifold Greatness: The Creation and Afterlife of the King James Bible, through the National Endowment for the Humanities (NEH) and the American Library Association (ALA). As one of the first institutions to host the exhibit, we are looking forward to the educational events, lectures, and hands-on workshops we have planned for the month of October. 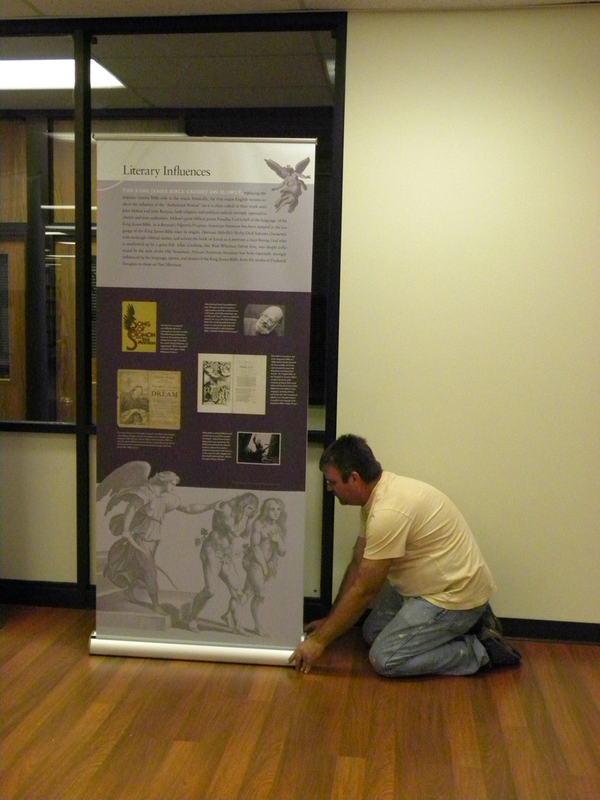 Tony Howell, Exhibit Specialist, installing the Manifold Greatness panels. The Department of Museums, Archives & Rare Books is housed in the Horace Sturgis Library at Kennesaw State University (KSU) in Kennesaw, GA. We are composed of many different divisions including the Bentley Rare Book Gallery, the University Archives and Special Collections, the Museum of History & Holocaust Education, and the Arts Collection. Manifold Greatness will be displayed in the Athenaeum Gallery of the Sturgis Library alongside our own exhibition commemorating the 400th anniversary, How God Became English: The Making of the King James Bible. 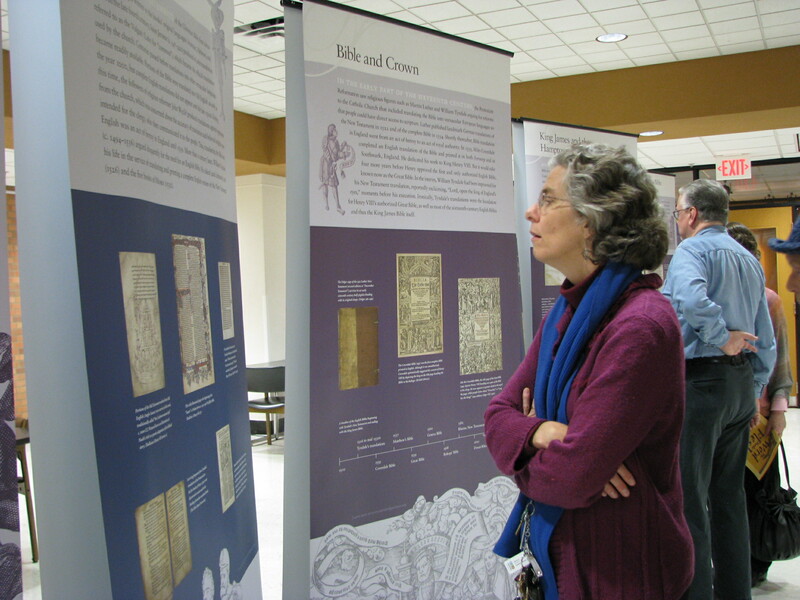 If you’re interested in learning more about our exhibit, visit www.kennesaw.edu/kingjamesbible. Under the direction of Dr. Catherine Lewis (Executive Director, Museums, Archives & Rare Books) and Dr. Tamara Livingston (Associate Director), our team of faculty, staff, and students has been working around the clock to put the finishing touches on the exhibit space in preparation for the opening date of October 4, 2011. We are thrilled to be able to showcase Manifold Greatness simultaneously with our own exhibit and are excited about the prospect that our visitors will be able to learn from both in the coming month. Our opening lecture, “The History and Language of the King James Bible,” will feature a faculty panel presentation exploring the importance and complicated history of one of the most influential books in history. These two exhibits reflect the kind of engaged scholarship that Kennesaw State University has become known for, and the Department of Museums, Archives & Rare Books is proud to be a part of the dynamic community of academic and community libraries hosting Manifold Greatness: The Creation and Afterlife of the King James Bible. To learn more about our Department or upcoming events, please contact Anna Tucker at atucke20@kennesaw.edu or 770-420-4699.